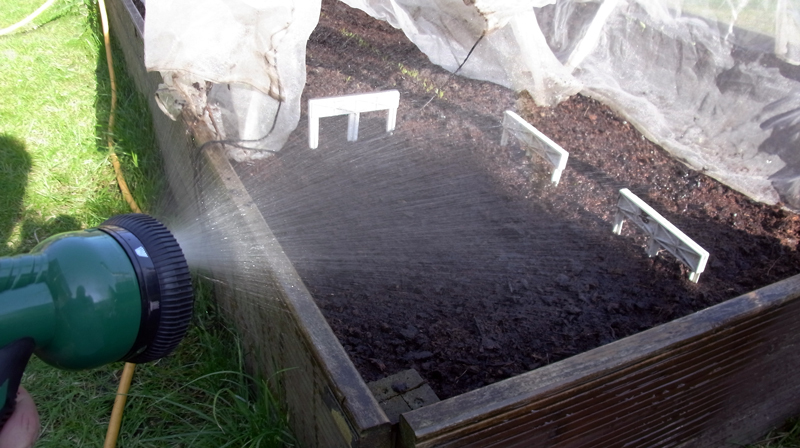 This hot sunny weather is perfect for vegetable growing. Unfortunately it’s also perfect for lounging outside with a bottle of wine, so I didn’t quite do as much gardening as I planned this weekend. The saving grace is that relaxing and therapeutic evening gardening after getting home from work is much more of an option now that neighbours with noisy football child moved last week. Indeed one evening during the week I sowed this year’s broad beans: the usual Sutton variety because they only grow to a couple of feet tall, so don’t dominate the garden, as well as tasting delicious of course. Beans of various varieties will figure this year: a couple of rows of a delicious dwarf French called Castandel have started coming up just six days after sowing. Digging in lots of fresh compost just before sowing helps, I’m sure. 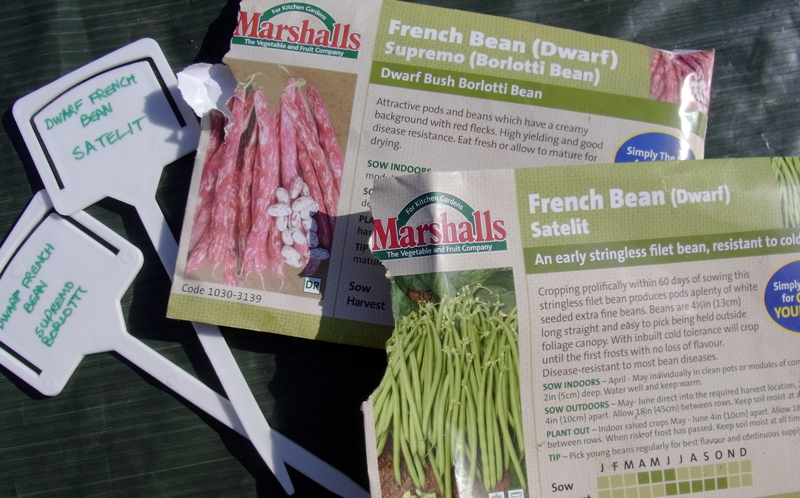 And today I sowed some Satelit dwarf French, which should be similar to the Castandel but have been bred to be very resistant to diseases too. Not that I’ve particularly had such problems with beans in the past; rather it’s usually crawly things eating the leafy young plants. 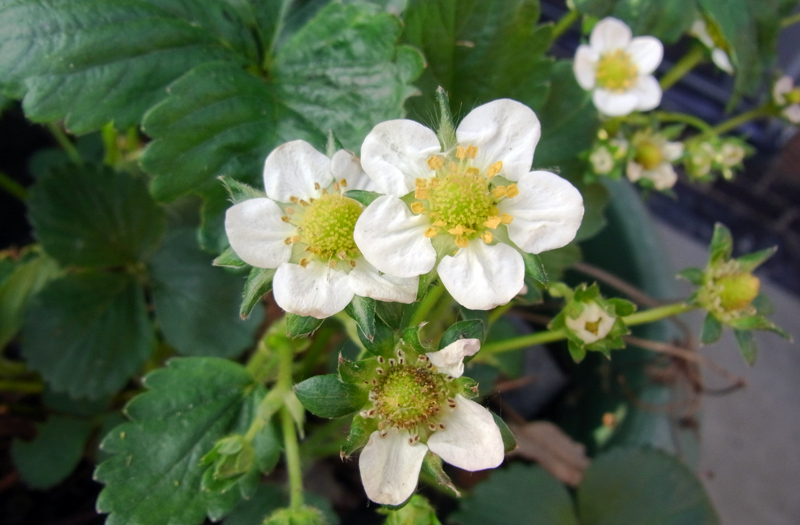 To try and offset that I have two types of nematodes waiting in the fridge: one anti-slug one and another multi-purpose one for protecting fruit and veg from various critters like carrot root fly, ants, sciarid flies and the like. I’ll mix those up and drench the beds next week. Alongside the Satelit are some borlotti, again sown direct into the soil. There are plenty of seeds left so I’ll probably sow some spares into modules to cater for any that are lost to pests. Later in the year there should be plenty of creamy, tasty borlotti pulses to enjoy, along with tender pencil-like French beans and the vibrant green delicious broad beans too. 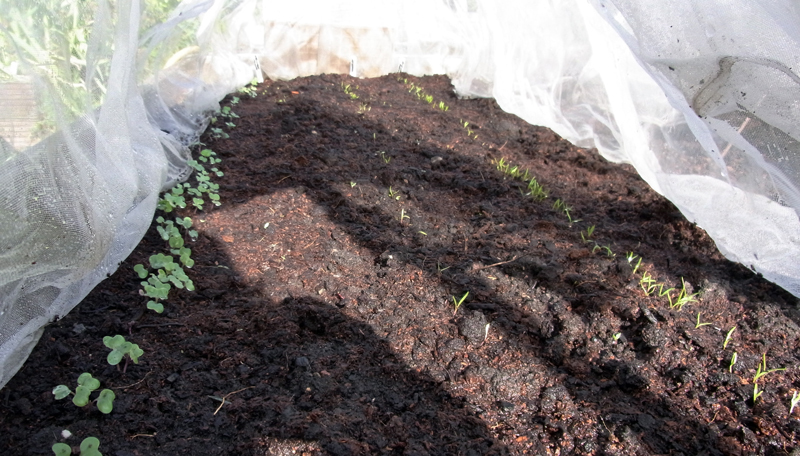 Nearby in one of the big beds, a couple of weeks of warmth and nightly watering have seen whole rows breaking through the surface: swedes, different varieties of carrots and two types of beetroot. 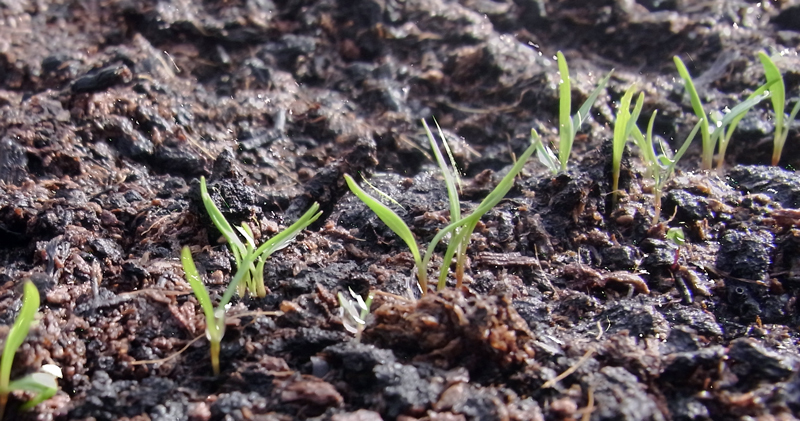 In a reserved corner of the same bed, today was the day for marsh samphire. The seeds, from Victoria Nursey Gardens, looked really good – far better than the rubbish ones I’ve had from other suppliers in the past – but they still look quite strange, like tiny dried twigs, as you sow pieces of dried stem with the seeds in them rather than just separated seeds. I’m sure it makes sense but am not sure why for now. Anyway, the tiny twigs only need scattering and covering with a thin layer of compost and then it’s all about water: lots of salty water to mimic the beachy riverside environment in which marsh samphire normally thrives. If it comes up it can self-seed year after year so becomes a permanent samphire bed, just needing some protection over winter. I really hope it works; samphire is so delicious, better in my humble opinion than trendy but not-as-tasty agretti which I grew previously. Next up, some fruit action. 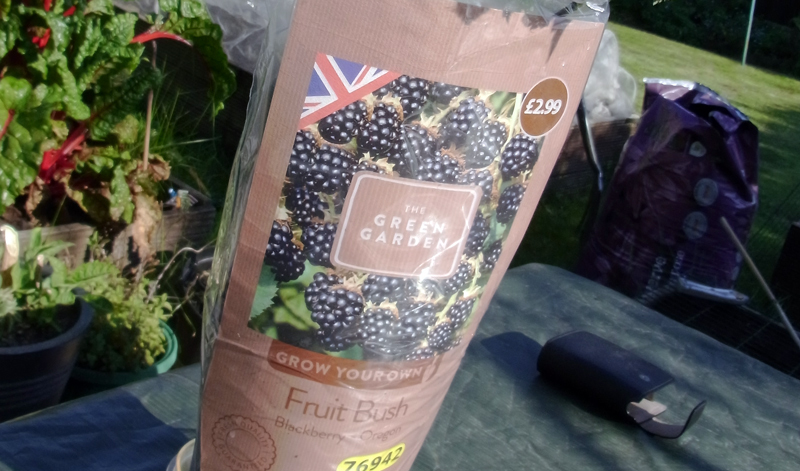 Aldi had blackberry plants for £2.99 a few weeks ago, a nice thornless variety called Oregon. 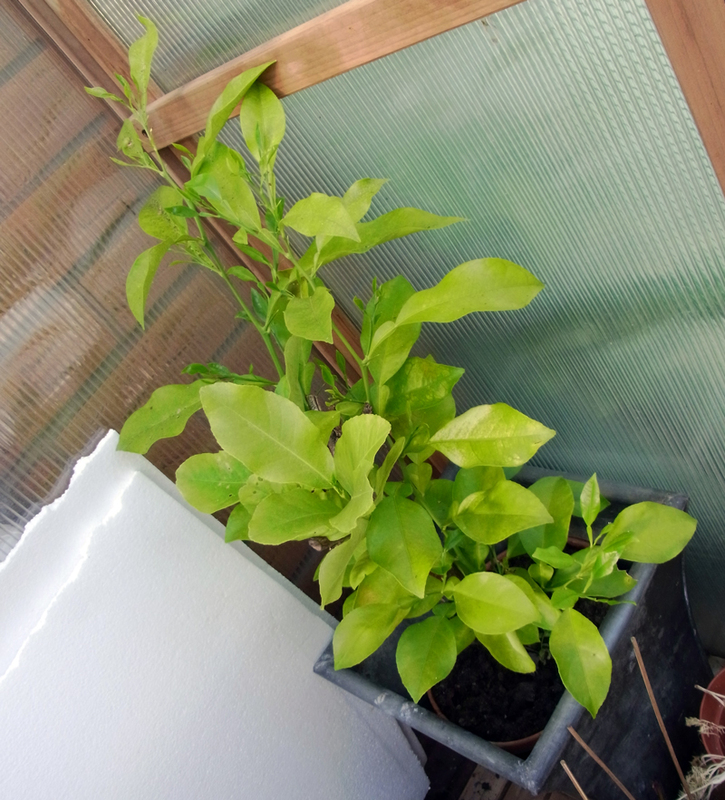 They looked very healthy so I bought one and after a fortnight on a sunny windowsill, today I potted it into a largeish container. 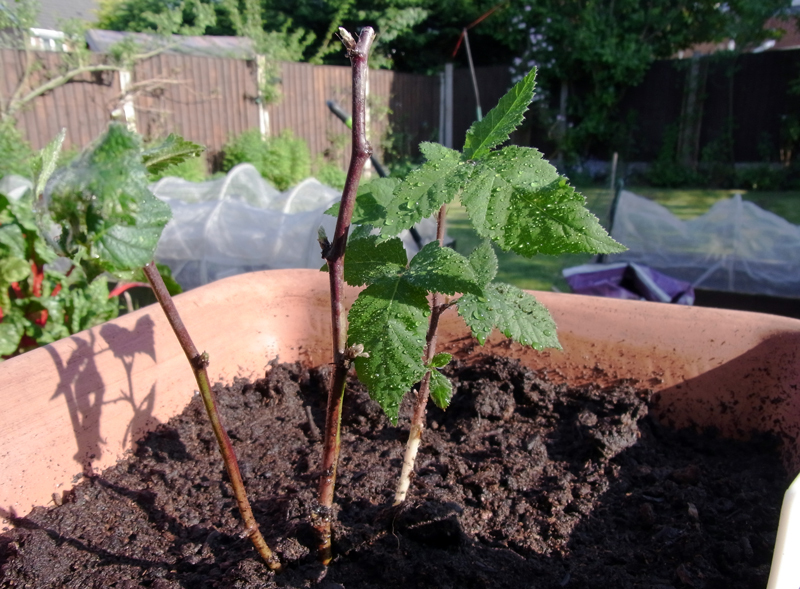 It feels counter intuitive but you have to cut all the lovely string stems down to six inches above the soil to get the bush to establish in its new home. Plenty of sun and water now and it should do well. 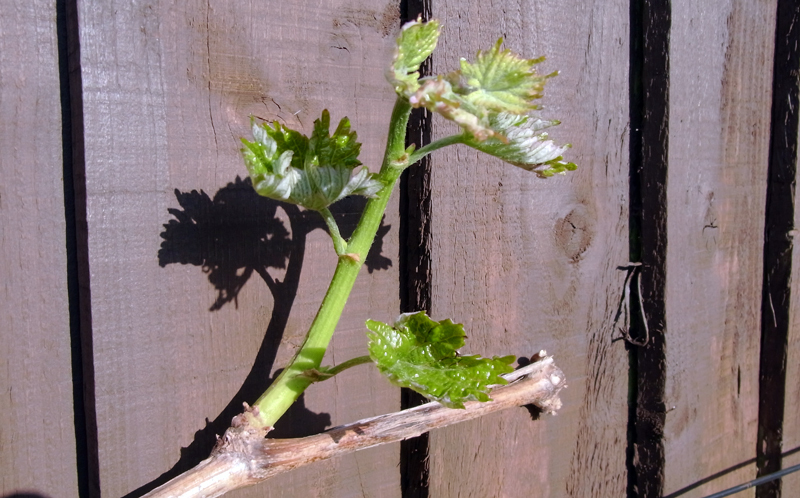 It can grow to three metres tall so I’ll look later at tying or trailing it over some structure in the garden. 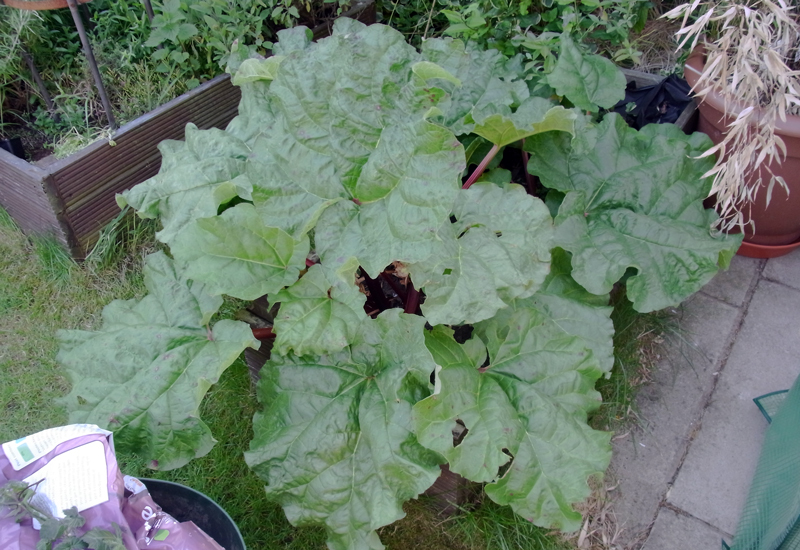 Rhubarb taking over the world! More next time. Bye for now. ← Stand by your beds!